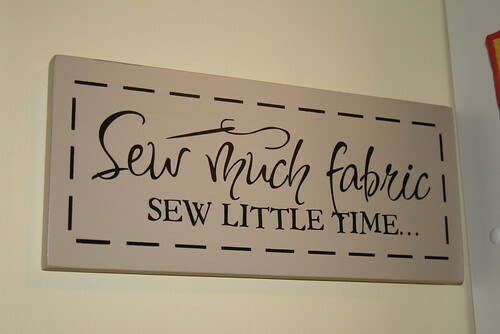 I really don't think I could live without my sewing machine. Is that too obvious? It's true! Congratulations Karyli. You have an email waiting for you. Please send me your address and your fat quarter bundle will be shipped out to you. Thanks again to everyone who entered the contest. Well, the bug that's been going around finally hit me last week. I'm finally starting to feel better and have begun to get back into some sewing. I spent several days in bed doing nothing, feeling so blah. I'm glad to be back on my feet, although not 100% just yet. 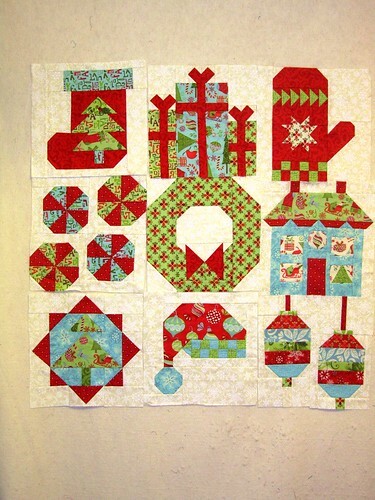 To get back into the swing of things, I've begun working on the 10 stars for the Christmas Quilt border. This required making 40 of each of the above rectangles for the 10 squares. I made all of them and am in the process of sewing all of these together to form the star tips. Here you can see the stars starting to take shape. I have about 2/3 of the star points finished. 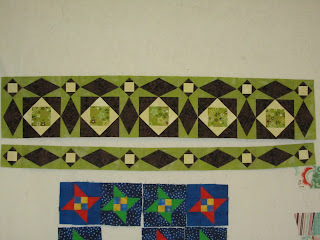 Once I finish those I can make the stars and assemble the border to FINISH the quilt top. Whoo Hoo. 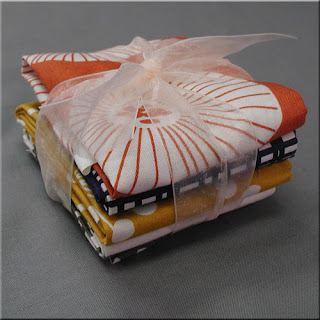 Don't forget to enter the giveaway for four fat quarters in my previous post. The winner will be announced next Monday. Today is my day in the Quilter's Way Blog Tour. If you haven't already checked out Alice's review, hop on over to her blog and don't forget to check out the rest of the blog posts this week. Here's the schedule. I've mentioned it before, but Quilter's Way is one of my favorite quilt stores. It's where I took my first quilting class and how I became addicted to quilting. It was close to my college and always had some more fun, modern fabrics. I've been a regular there for about 7 years now.. Now, Quilter's Way has launched a quilt kit designer tool. To start, select a kit design. Right now you have a choice of 10 quilts. 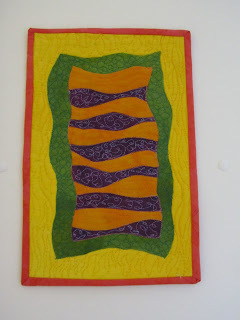 For this review, I'm going to make the Twisting Again quilt kit. 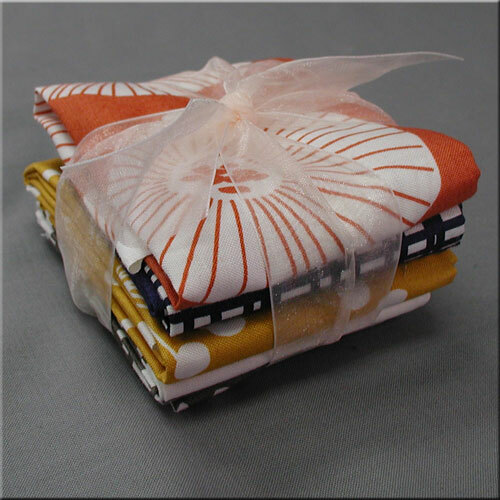 When you select your kit, it appears initially in the pre-selected fabrics that the kit template comes in. This is where you have fun in designing your kit. 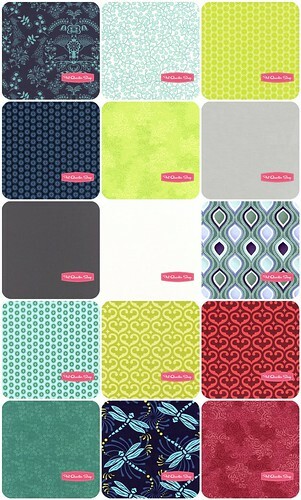 Begin selecting fabrics for each design element. Here you can see that I'm auditioning fabrics for the quilt that I'm designing. Some of the initial colors are still there as I add and remove fabrics. On the right hand side is a drop menu that allows you to select different fabric lines. When you select a fabric line the fabrics available in that line appear to the left. You just drag the fabric that you like down to the fabric position you choose. As you change fabrics, you'll see the price of your kit change based on the price of the fabrics you choose. For example, if you use all solids, your kit will probably cost less than if you select all designer cottons. Here I'm pretty happy with how my quilt kit looks. 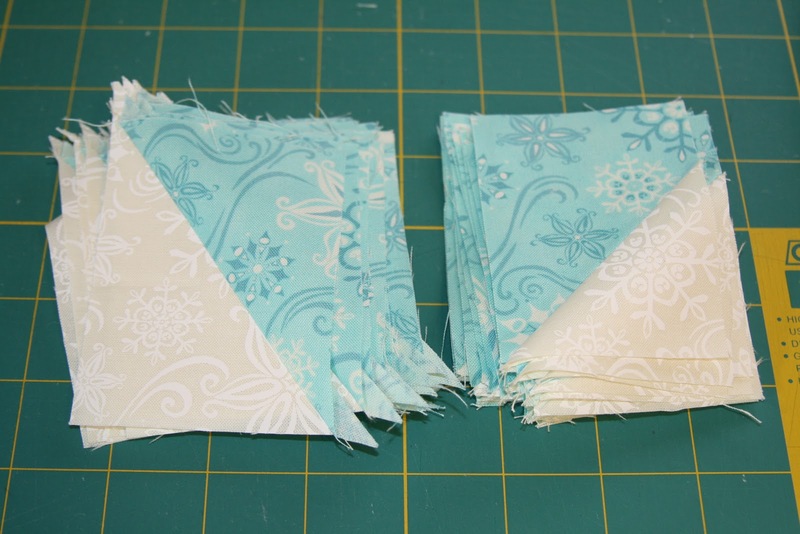 As you can see with this screenshot, you can see where the fabrics are placed in the quilt below the fabric swatch. As you change each swatch you'll see the fabric change in the kit in the upper left and below the swatch. 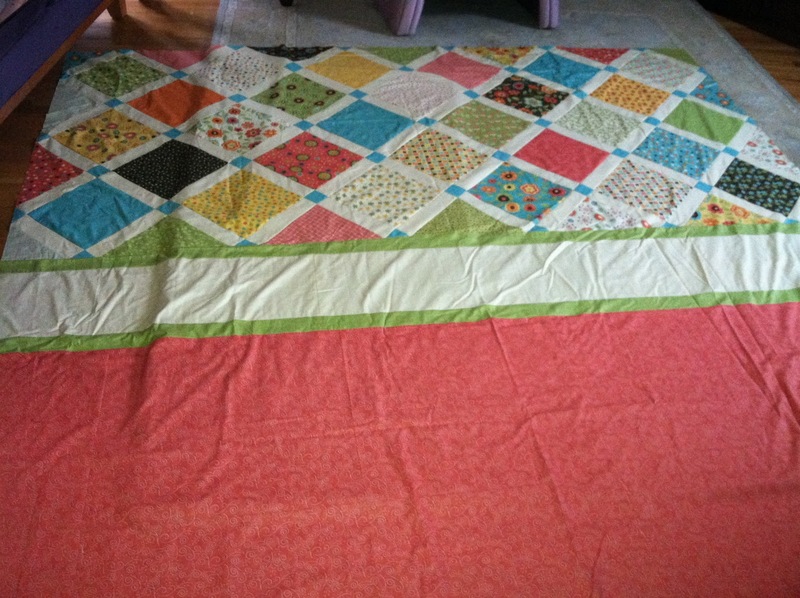 At any time you can enlarge the quilt to see a close up. 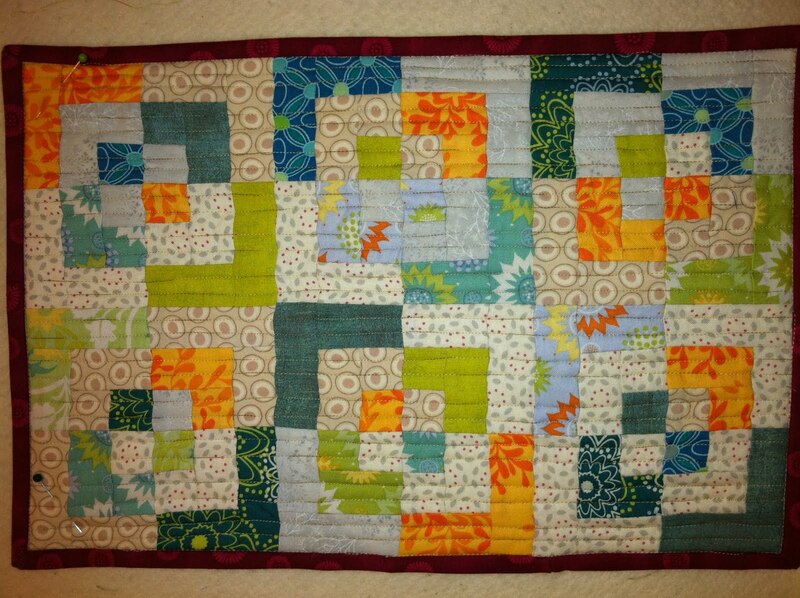 The quality is a bit grainy, but you have a good idea of what the quilt looks like. I like it! I think this will be my final quilt kit. I decided to make another quilt to keep playing around. 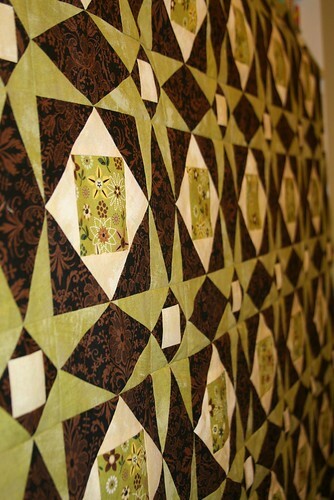 Here's a second quilt kit that I designed using all solids this time. 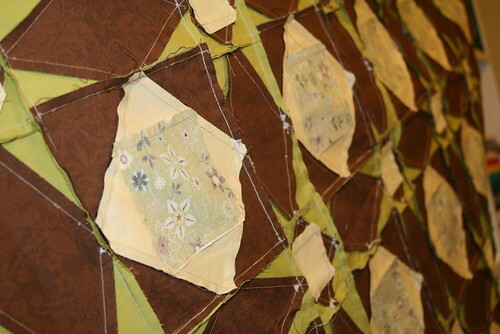 You can see what the quilt looks like with the fabrics you select. I love that you can see how much the quilt kit will cost you as you go. The kit designer is very intuitive to use. I really think that most everyone can use the kit designer. If you've used EQ, this tool is MUCH easier to use. 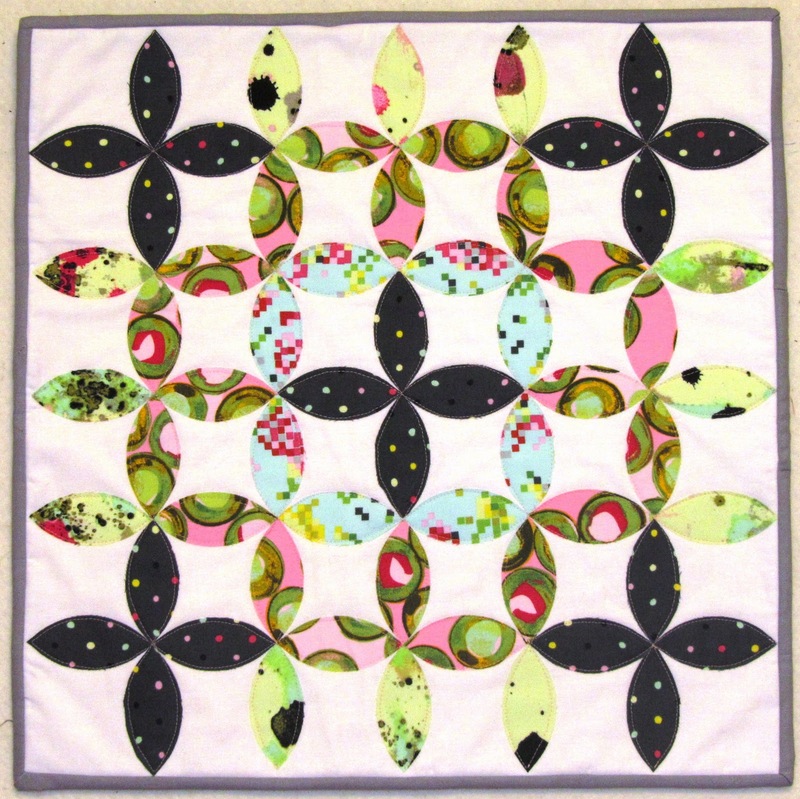 You can design a quilt kit very fast. Instead of just laying fabrics out next to each other, like you would in a store, you can get a good representation of what the quilt will look like with the actual fabrics. I'd love to see additional quilt designs added to the tool. I'm sure additional patterns will be added over time. An added bonus would be if we could upload our own pattern and create a kit for our own quilt, but I imagine that's a ways out. You can't press the back button on your toolbar, you mist use the navigation in the tool. I pressed the back bar on my browser and had to start over. It's just a matter of habit to press the back button on my browser. User error on my end, but just be aware. You need to know your fabric lines and what they're called to search through the fabric. Luckily, I know my lines, but I know many folks who don't know the names of fabric lines and might struggle to find the right fabric. Maybe a search feature by color would be helpful. I also needed to do this on my laptop and couldn't do this on my iPad because it requires flash. Not a huge deal, but it could annoy some people. Onto the giveaway. The winner of this giveaway will win a fat quarter bundle of four fat quarters of Echo by Lotta Jansdotter provided by Quilter's Way. To enter the giveaway, all you have to do is comment on this blog and answer the following question, "What is the one quilting tool you couldn't live without?" If you are a no-reply blogger, please leave your email address so that I have a way of contacting you if you win. The winner will be announced on Monday, January 23rd. Good luck! This week I'll be participating in the Quilters Way Blog Tour to launch their new quilt kit designer. 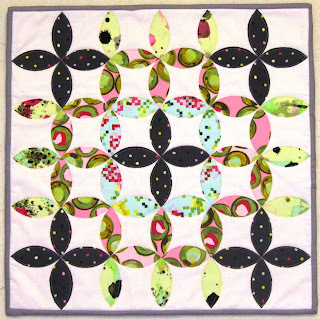 The Kit Designervat QuiltersWay.com is a breakthrough tool that, for the first time ever, allows anyone to easily design their own quilt kits online. Once a kit is designed, it can be shared with the recipient, blog readers, Facebook friends, and of course, ordered through our website. Now you can enjoy all of the benefits of a quilt kit with the added bonus of choosing your own fabrics. 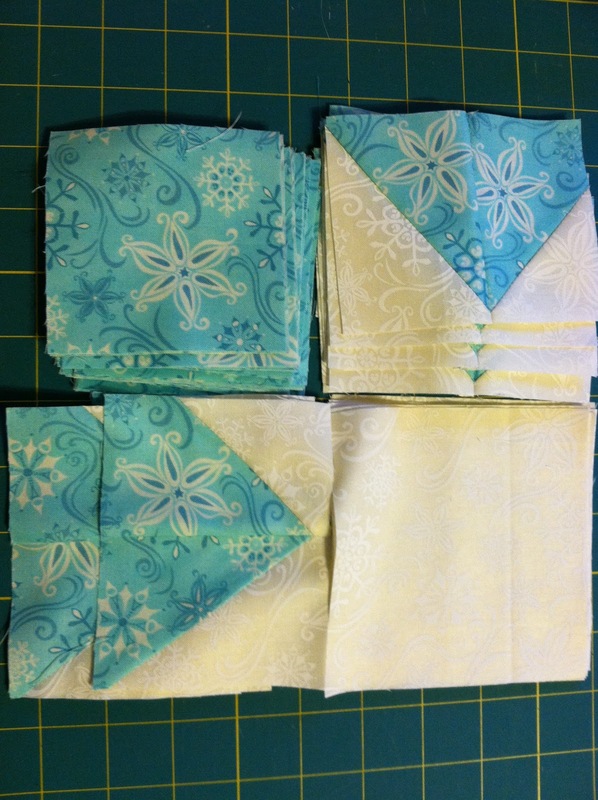 On Tuesday I'll be reviewing the tool and hosting a giveaway of four fat quarters. Come back on Tuesday to see my review and for a chance to win. In the mean time, check out the rest of the bloggers this week. Now that I have the Storm at Sea quilt finished I can begin working on other projects again. Yay! 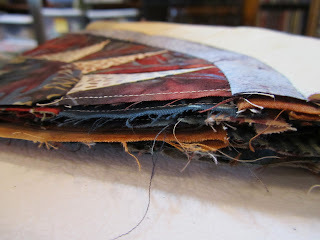 First up on my to-do list is to work on the Fat Quarter Shop's Designer Mystery BOM. I had all 12 blocks made for a few months now, I just haven't gotten around to finishing the sashing and border. 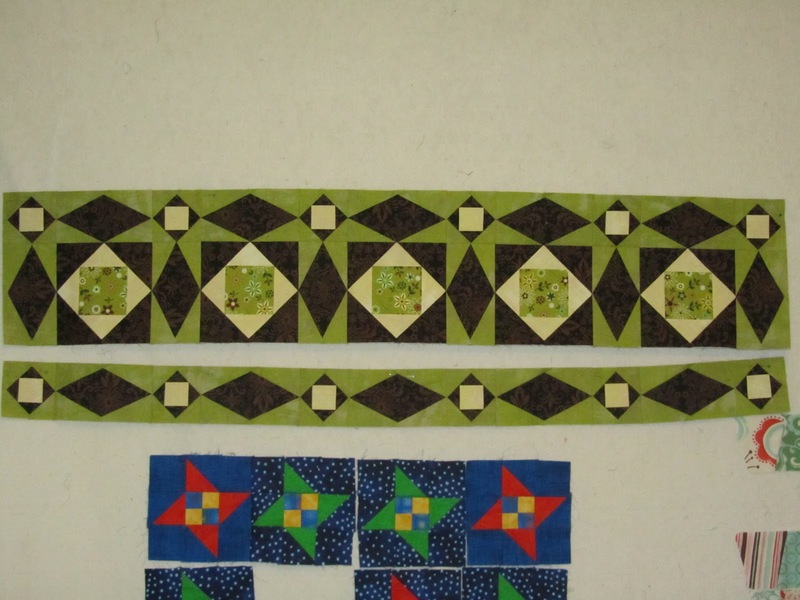 Well, this week I managed to finish the sashing, a step in the right direction. Storm at Sea Top is FINISHED!!!! I finally managed to get some halfway decent photos of my completed Storm at Sea quilt top. I love looking at all of the different patterns that emerge as you look at this quilt. When I show people this quilt, I'm always interested in what stands out to them first. What pops for you? I LOVE this quilt top. The colors are more earthy that I would have picked for myself, but because it's going to be hanging at my parent's beach house, on a yellow wall, this quilt will fit perfectly there. It finishes at 57" x 66". Here's a view from the side. And here's a picture of the back. I love how neat the back of a quilt looks when you remove the paper. 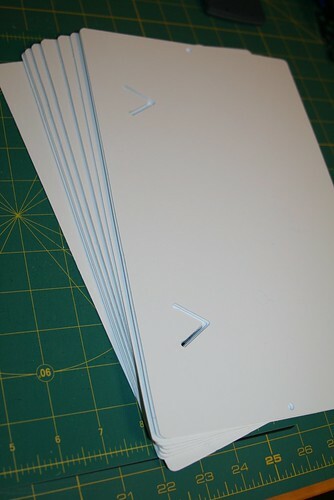 All of the seams are pressed so nice and it looks so neat. I just have to go back with some tweezers and remove some of the tiny bits of paper before sending this along to Judi at Green Fairy Quilts to work her magic on. 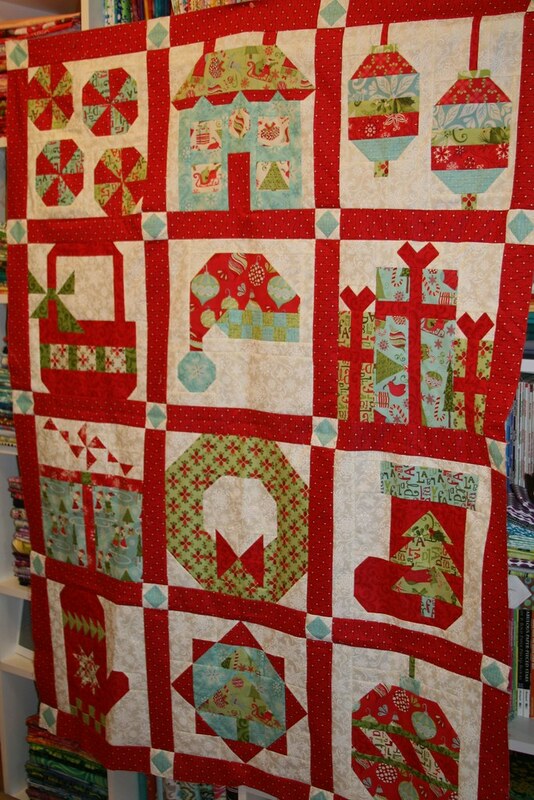 As usual we had an awesome Christmas and I managed to get a few quilting goodies. 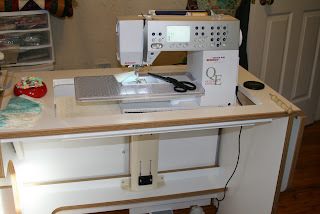 My biggest gift this year was a new sewing table - a new Horn cabinet! The insert to fit my machine is on order and should arrive in the next 4-6 weeks. For now I'm just using the extension that came with my machine. 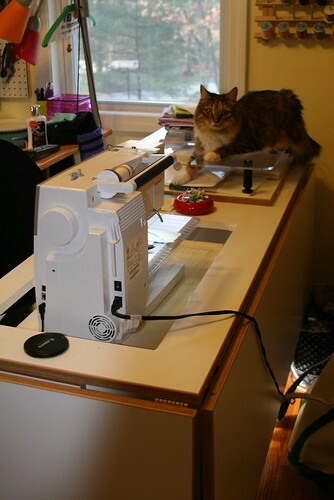 Here's a different view with Misy cozying up on my other extension table. 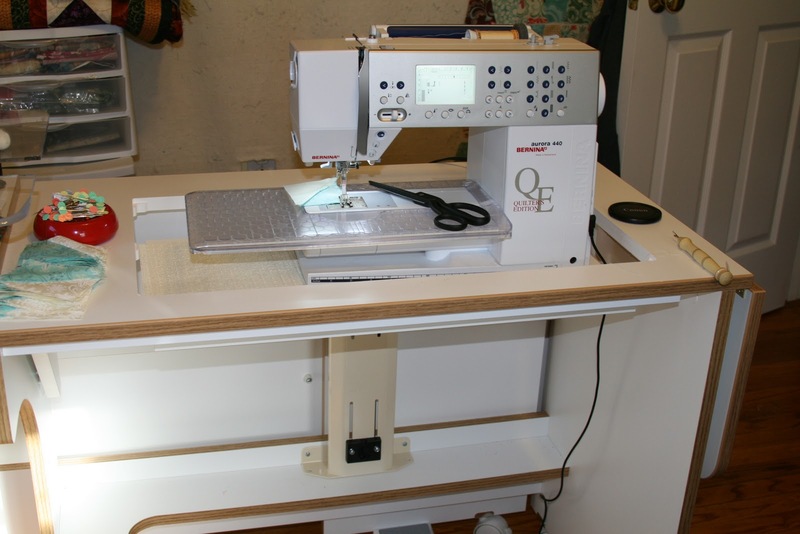 The best part is the back part lifts up giving me more room when I machine quilt a quilt. I received a box of mini bolts to help organize my ever growing stash. I had been just cutting up random boxes to wrap fabric around, but this is so much better. So my husband teases me all the time about my fabric stash and the fact that I'd never need to by fabric for the rest of my life. He gave me this sign that he had made on Etsy. 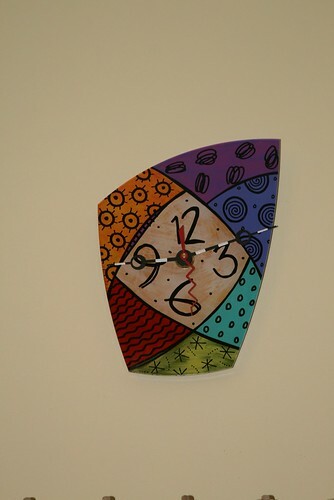 I also got this clock so that I can finally tell what time it is when I'm sewing. 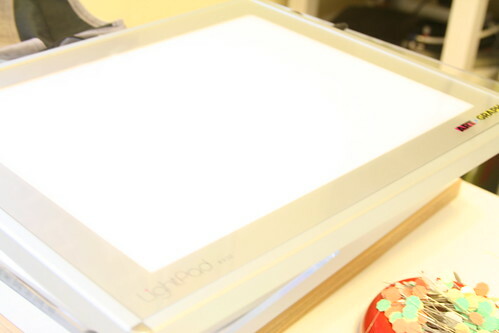 KK got me this great light box since 2011 was the year of learning applique for me. I've already put this to good use. In addition, I got a bunch of paint sticks, which I've never played with but been curious about. I got two really nice seam rippers. Overall, we had a really nice Christmas, spent some great time with family, and ate lots of food. Now to put everything to good use! This is my mosaic for the FQS Bundle Challenge being hosted by Quokka Quilts. I'm actually working on a quilt using some of these fabrics right now and I'm absolutely in LOVE with the Navy, Teal, Lime, White and an accent of the Dark Pink color combination. Actually, I'm totally in love with lime green in a lot of color combos too. So, 2011 is done and gone. Part of me is sad to see it go because I had some great times in 2011, but another part of me is glad to see it go and hopes for better times in other areas of my life. Work was much busier for me this year, so I couldn't spend as much time on quilting as I would have liked, but I still got a lot done. The highlight for me this year would have to be my Moonlit Sky quilt. Just finishing this beauty was awesome for me, but to win first place for it at the Lowell Quilt Festival was awesome. I made this cute mug rug/mini-quilt that's hanging in my quilting room this year using some hand dyed fabric that I won back in 2010 from Dye Candy. 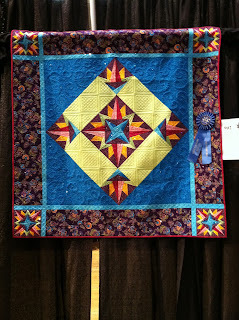 I made this cute wall hanging for the Jay McCarroll Modern Quilt Guild Challenge, which placed 2nd in our guild challenge. I later entered it into a silent auction to raise money for Cancer. 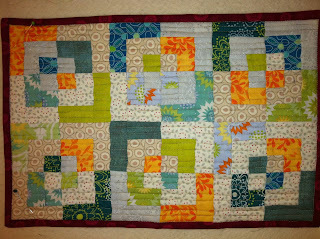 I made this mini quilt for the Doll Quilt Swap 11. 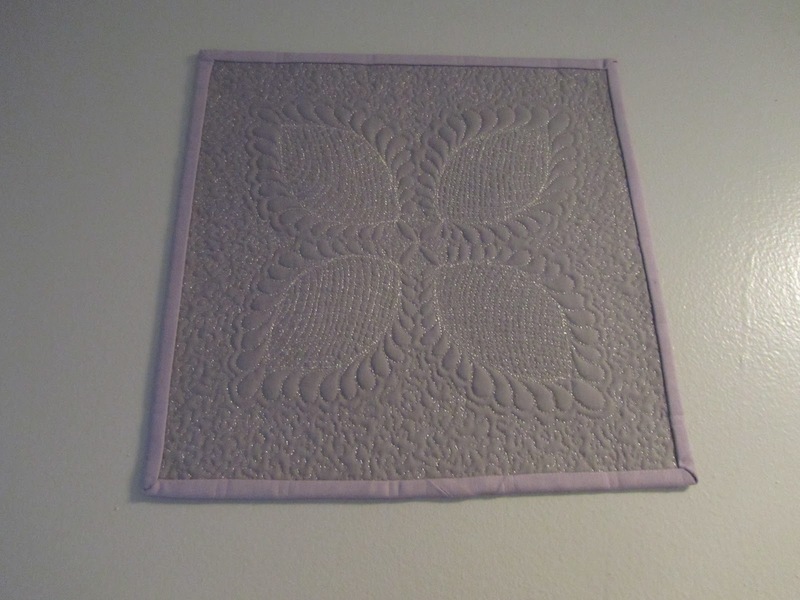 I loved this quilt, but experienced some unnecessary drama around the swap, so I have decided to abstain from online swaps for a while. 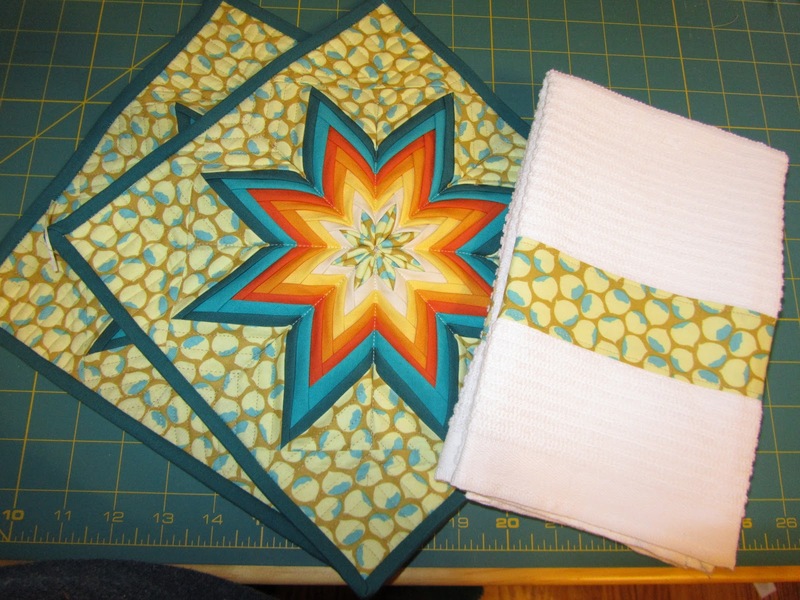 I made these pot holders and dish cloths for the BMQG Kitchen Swap for Rebecca. I LOVED how these turned out. 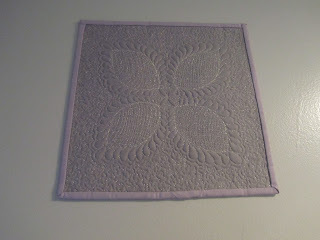 After taking a class on feathers, I made this 10" mini quilt that now hangs in my guest bathroom. I also started or continued working on a bunch of WIPs in 2011. Here are a few that I worked on and either will continue working on in 2012 or hopefully finish. I'm working on a Storm at Sea for my parents. I actually just finished piecing the top, but the one picture I have isn't very good. I'll get more pictures soon and share it before it's sent off to be quilted. 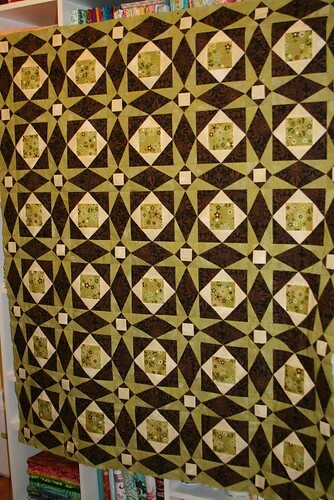 I finished this quilt top and am planning on sending it out to be quilted. It's close to King size and I just can't manage that on my domestic machine. I took a class on hand applique and am working on 9 tile quilt blocks. I've completed two. This one probably won't be a 2012 finish. I worked on some blocks for "Fiesta!" quilt. This is another one that might not be done in 2012. I'm okay with that. I've been working on the Carol Doak Radiant Star BOM. 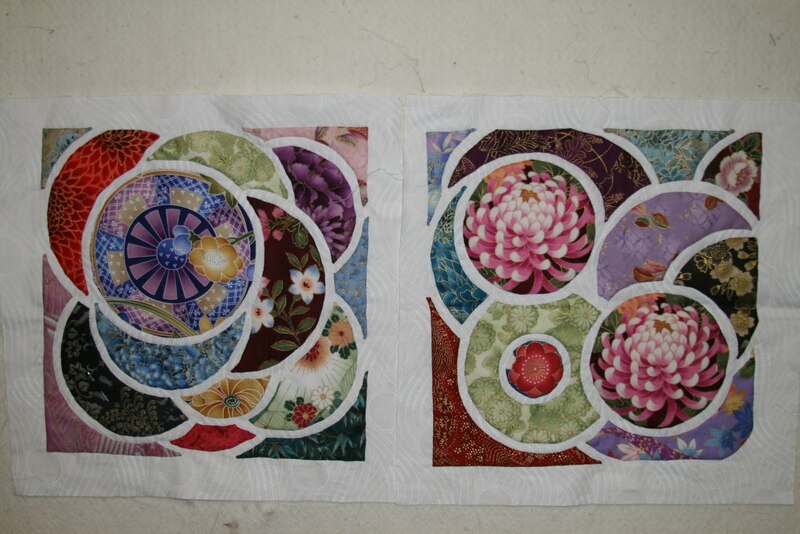 6 done, 6 to go - plus sashing squares. Yeah, we'll see if I finish this one or not in 2012. 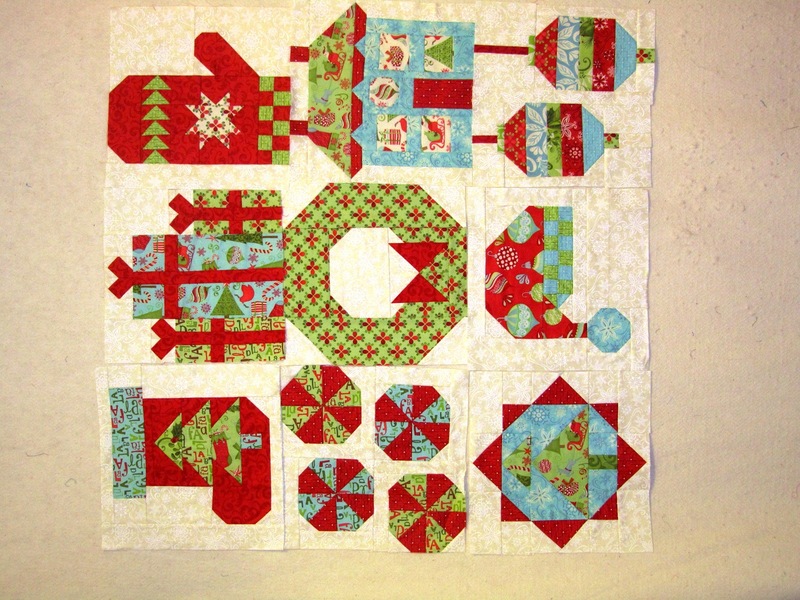 I finished all 12 blocks in the Fat Quarter Shop Designer Mystery BOM and added the sashing this week. I just need to finish the border. I know there are more projects in the works, I just can't think of them all. I always have a bunch of quilts in all different stages. It's just who I am. Here's looking ahead to 2012!